I am having a lot of fun flying on instruments. This time I flew my second ILS precision approach and two GPS non-precision approaches. My learning curve surprised me and I hope I won’t have a learning plateau as I had – and I think every student had – during the PPL course. Saturday night I thought I should go flying so I scheduled a lesson for Monday morning on my iPad. Unthinkable in Switzerland where I often have been told to wait up to three months for a flight. Anyway, today I flew my second ILS and it went really smooth. I anticipated the winds aloft and descended on the glideslope fairly stabilized. It felt great to descend towards minimums and do the call-outs. 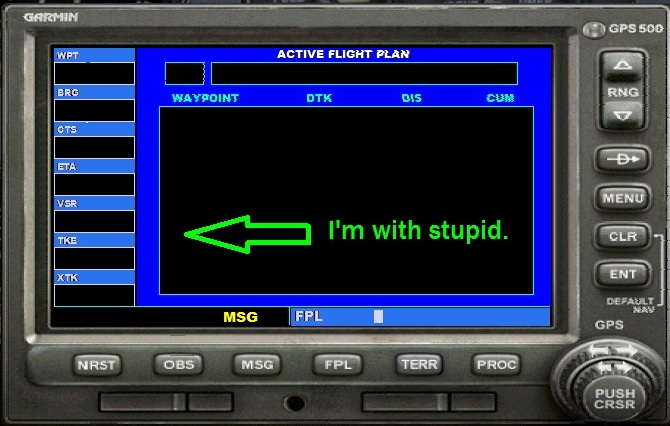 I only heard announcements like “6500 for 6085…approaching minimums” on youtube videos of professional pilots. The approach went well but I didn’t see the runway at the missed approach point so I had to do a missed approach. 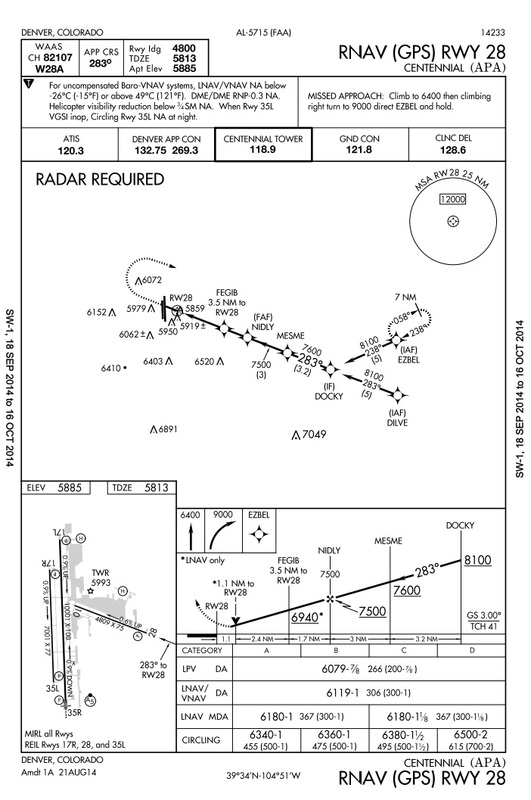 I set up for the RNAV (GPS) RWY 28 for another try. I prepared at home as good as I could but GPS approaches remained mysterious to me. At some point one has to fly it to learn more about it. I had quite a few a-ha moments and learned a lot. 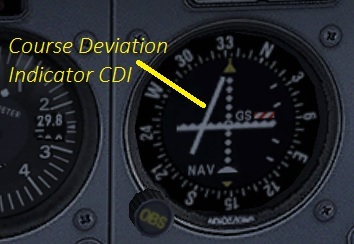 For example the role of the course deviation indicator during a GPS approach didn’t make sense to me because until now I only used this instrument for VORs. After this sim-flight I am also more aware of details on the plate. For example, it is vital to look at the distances between the fixes. During 1.7nm between NIDLY and FEGIB 560ft of altitude have to be lost which translates to a descent of about 700 feet per minute. I kept the CDI centered and held the minimum descent altitude of 6180 feet plus 50 feet but when I came across the threshold of the runway I was in a position from where a landing was impossible. We discussed quickly if a circling was possible but – as seen on the bottom of the chart – the minimums for that were higher so that it would have taken me back into clouds. 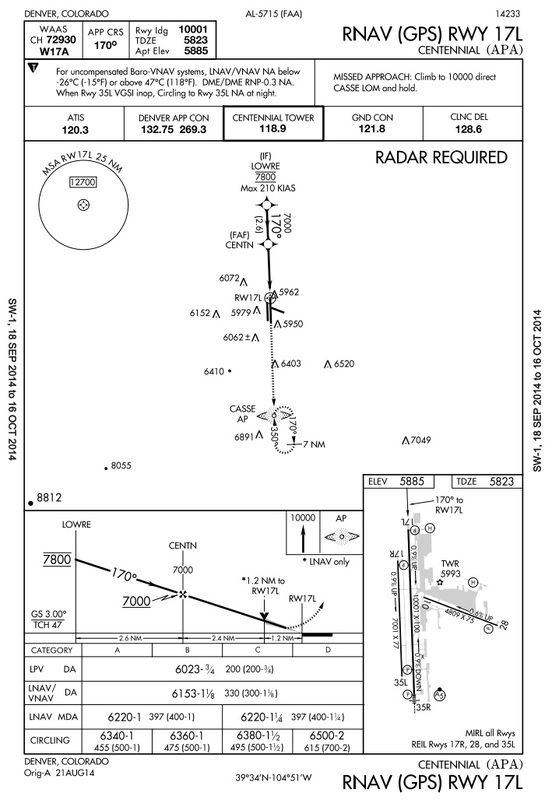 I flew another missed approach and set up for RNAV GPS RWY 17L. Great post, I’m going to send a link to your blog to a few of my students who are working on instrument ratings. It’s always good to hear things from a students perspective.